Summary Everyone pretty much knows about Harvest Moon, and the basics involved, right? Review This is a game I really want to try out. In fact, it would be really nice if this game could be translated to English. Availability You could order it through Himeya.com(though it's listed under "Makiba Monogatari") or you could special order it through FromNippon.com. 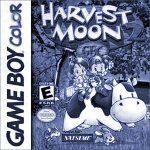 Summary This is the Gameboy Harvest Moon that will finally feature the dating element... I think. Of course, that's what I thought when I was going to buy 2... but judging from the title, this is probably finally it. Availability For the English versions of these games, you can acquire them through Amazon or a variety of other retailers. To get the Japanese versions, you would have to special order it from FromNippon (or get it through a friend in Japan :P). Availability For the Playstation and N64 English version, you could buy them through Amazon or any other retailer. However, the Super Nintendo version is very out of print. Go download a rom somewhere.